A spa day is the ultimate in relaxing gifts and this one has plenty to tempt anyone who needs to get away from the pressures of daily life for a while. With a range of options for one or two people, it’s a great way to treat a couple to a little quality time together or give someone a chance to spend a day indulging themselves in whatever they fancy doing. You will both enjoy a 30 minute massage and can choose one from the following; Swedish back neck & shoulder, aromatherapy or hot stone. The total treatment time is 30 minutes each. Bridgette has worked and designed many shows, including the “Strictly Come Dancing Tour”. She is not only a fashion and TV makeup artist, but she was also trained by the best hairdressers in the world. Each client has a unique experience in a private booked session with Bridgette, taking time to talk and create a new look for you. Bridgette looks forward to making you be the best you can be. When you arrive at the salon you will be invited to the Bridgette Ellwood beauty lounge where you will instantly feel like you have escaped the outside world. Bridgette will spend time getting to know you and will design a fresh new look for you, providing ideas and advice. Bridgette will teach you everything you need to know about make-up in a 1 hour lesson and she will also give you expert advice on how to look your best. Anyone who sometimes feels overwhelmed by their to-do lists or swamped by their responsibilities will understand what it’s like to need a chance to completely recharge their batteries. For those who don’t have time for a holiday or even a weekend away, even a little time spent being pampered goes a long way. This spa experience is the perfect way to cram as much relaxation as possible into a day. The combination of a 30 minute discovery facial and a 55 minute full body relaxation treatment, either a full body massage or an express detox algea wrap, will leave you looking radiant and feeling fabulous inside and out. This experience is available Monday to Friday subject to availability, available throughout the year. Exclusions include Bank Holidays. Your total treatment time will be 125 minutes. Beauty and Melody use Soprano Ice, an award-winning laser hair removal system that incorporates cutting-edge cooling technology combined with state-of-the-art laser techniques to provide almost pain-free hair reduction which works long-term. The city locations make these spas the perfect place for anyone who wants to use their time efficiently while they are in town. This experience is ideal for those who want to treat a medium area such as their bikini line or underarms. The high-tech treatment is an advanced way to benefit from the freedom that long-term hair removal offers on areas which may be hard to reach or difficult to keep hair free with home remedies. You will receive three sessions of laser hair removal for one medium area. A day spent in pursuit of inner calm can only be enhanced with a meal designed to provide a little something extra during the long stretch between lunch and dinner. An afternoon tea experience is the ultimate combination of relaxation and indulgence and a perfect way for any pair to carve out some time to spend together. Guests can relax by the pool in their robe and slippers, release tension from their muscles in the sauna and make use of the entire range of facilities for the whole day, stopping only to sample an array of expertly prepared sandwiches, pastries and, of course, perfectly brewed tea. This experience for two is the perfect way to enjoy a spa day with guests being able to choose exactly what they do and when for as long as they want. Each guest will have a robe and slippers to enhance the experience which includes the use of all the facilities, including the swimming pool, steam room, relaxation room, sauna and spa bath. The afternoon tea has been specially designed to be a treat for all the senses, not least because it’s served in either the Georgian Room, the Morning Room or the incredibly elegant Library. The menu consists of dainty finger sandwiches with the crusts cut off, freshly baked savoury and sweet scones followed by pastries and cakes and all accompanied by tea and coffee. This is the perfect opportunity for two people to spend some quality time together enjoying a day of decadence. This experience is available Monday to Sunday subject to availability, throughout the year, subject to opening times. 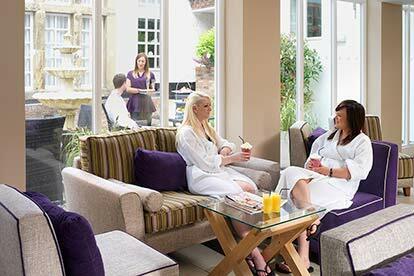 You can use the spa facilities all day, however the afternoon tea will typically last 1 to 2 hours. This experience is for two people to share, there will be other people at the venue. Located a just short walk from Bournemouth’s renowned pier and award-winning coastline is The Durley Dean Hotel. The historic Victorian townhouse will certainly make a great first impression, while the cosy yet contemporary interior décor has been designed to make every visitor feel perfectly at home. All rooms feature a television, tea and coffee facilities, a work area and hairdryer, as well as comfortable beds sure to provide a refreshing night’s sleep following a day of exploring Bournemouth. As well as its comforting rooms and relaxing spaces, the Durley Dean also includes on-site spa facilities such as the serene swimming pool, gym, sauna and steam room, perfect for those who are in need of a pamper. When they arrive, guests will be greeted by a friendly member of the Durley Team before being guided to their room and left get comfortable. In-between sunbathing on the beach, enjoying an ice cream on the pier or exploring the bustling town centre of Bournemouth, guests can enjoy the spa facilities and relax with a 25 minute treatment, with a choice between a Back, Neck and Shoulder Massage, Express Facial or a File and Polish of either their feet or hands. Guests will also be treated to the traditional British delicacy of a cream tea, featuring a fresh scone paired with clotted cream, jam and of course, a refreshing brew of tea of coffee. The cream tea will also be served with a glass of Prosecco each to add an air of elegance. This experience is available Monday to Sunday, from September to July. You will receive a 25 minute treatment each and you're welcome to use the facilities. Lashes n Locks are a hair and beauty salon located within The Brentwood Centre. Treat your locks to a T-section root tint which aims to cover up those cheeky roots and leaves you looking ready to wow! Your treatment will be with a friendly and experienced stylist who will get to work covering up your roots, leaving your hair feeling fresh and ready to face the crowds. This experiences is for two treatments so you can make sure your hair is looking tip-top. Alternatively you can take a guest along and have a T-section root tint each. This experience is available on Monday's, Tuesday's and Thursday's, throughout the year, subject to availability. This experience is for 1 or 2 people. On arrival, you will be greeted by your friendly therapist, who will deliver your treatment. The facial is aimed to help to relax facial muscles which can slow the onset of wrinkles on the face and Puffiness reduction. The Swedish back massage is targeted to Increase blood flow and circulation, which brings needed nutrition to muscles and tissues. You'll finish with your full body exfoliation which should be the perfect send off for your time to unwind day out. The total treatment time is 1½ hours. Hintlesham Hall is a magnificent grade one listed building nestled in the tranquil Suffolk countryside. It is a little spot of luxury in beautiful surroundings. The Spa at Hintlesham Hall has teamed up with Elemis and OPI to bring you an exciting list of treatments. On arrival you will be greeted with a glass of Champagne. You will then enjoy a choice of the following 30-minute treatments; Elemis Mini Facial, O.P.I. Mini Manicure, O.P.I. Mini Pedicure or a Back, Neck and Shoulder Massage. This experience is available Monday to Sunday, subject to availability., throughout the year. The treatment will last approximately 30 minutes per person. This experience is for two people to enjoy, there will be other people there on the day. Schmoo Spa invites those in need of some professional pampering to visit one of their four spa locations found across Southern England and in the Welsh Capital of Cardiff. Located within Hilton Hotels, each Schmoo Spa has been designed to provide visitors with an environment in which they can truly switch off. You’ll both enjoy some well-deserved relaxation time in the form of a 25 minute back, neck and shoulder massage or a Schmoo facial, depending on what you personally require in order to feel truly relaxed. While the massage will release the tension, aches and pains of one of the most overworked parts of the body, the Schmoo facial will use skincare products personalised to your skin type in order to quickly relieve any skin sensitivity or areas that are in need of some careful attention from an experienced therapist. Customers will also receive 25% off Schmoo products if they purchase 2 or more on the day. Facilities not included, these can be used for additional fee payable to the location of your choice. Prices vary. A massage is the perfect way to reconnect with a loved one and spend some quality time together. A massage is great for relieving any stubborn knots, aches or pains and is sure to leave you both feeling refreshed and energised. The total treatment time is 55 minutes each. You will both sit back and enjoy your spa day with relaxing treatments, a calm atmosphere and really indulge in your experience. With a back neck and shoulder massage of the highest quality, prepare to be spoilt with care as this is a perfect spa experience. This experience is available Monday to Sunday, throughout the year excluding Christmas, New Years Day, Easter and Bank Holidays. The minimum age is 16 years old, under 18's must be accompanied by an adult. For a day that offers the chance to relax in truly opulent surroundings, Fishmore Hall has plenty to offer guests. From the moment they arrive, they will be greeted with views of the spectacular Shropshire countryside which give way to the façade of an elegant Georgian country house which provides the perfect spot to enjoy some truly tempting treatments. Secreted away from the world, this spa offers the kind of peace and tranquillity that most people dream of when they are feeling stressed or overwhelmed. The spa itself has been designed with decadence in mind, comprising treatment rooms which provide the perfect place to shed the cares of daily life and guests can have all their stress soothed away. With two couples’ rooms, a steam room, a sauna and an outdoor hot tub which provides a chance to drink in the beautiful countryside, there is something to suit anyone’s ideas of a relaxing time. Guests will have complementary use of towels, robes and slippers for the duration of their visit and they can enjoy a treatment in the morning, followed by three hours use of the leisure facilities plus a glass of Prosecco. The leisure facilities include a steam room, sauna, outdoor wellness hot tub, outdoor bucket and drench showers and a large hammock which is the perfect place to kick back and let go of all their stress and tension. The total treatment time is 55 minutes, with use of the facilities for 3 hours. Guests should prepare to feel utterly indulged at every stage of their visit to B U Beauty Rooms, from their warm welcome to the final touch of their intensive treatment. Once they’ve arrived, guests can absorb the calming atmosphere and enjoy a tea or coffee before they make their way to one of the spaces dedicated to peaceful treatment time. The lucky guest will experience an Aromatherapy Massage for 60 peaceful minutes, followed by a manicure or pedicure with a Gel finish. The massage will work on releasing tension from the upper body as a healing and calming aroma fills the room, enabling any stress and lingering aches to melt away. Next, a manicure or pedicure will leave even the most over-worked hands or feet feeling truly pampered, using the nail care range from industry leaders Cuccio Natural. Guests will leave BU Beauty Rooms feeling calm, collected and capable of handling anything life throws their way. This experience is available Wednesday to Monday, throughout the year. Excludes Bank holidays, Christmas and New Year. The total treatment time is 1 hour and 50 minutes. The chance to indulge in a little pampering is one to be grabbed whenever possible and this experience not only includes a half-hour massage but also access to the spa’s facilities for two hours. Guests can choose between a Swedish or deep tissue massage, either of which will relieve any tension they are carrying in their muscles and leave them feeling soothed and refreshed. The spas provide a haven of tranquillity in the heart of the city, offering guests the chance to indulge themselves with a dip in the swimming pool, a luxurious session in the jacuzzi or a chance to unwind in the sauna and steam room. For those who like to relax by working up a bit of a sweat, there is a fully-equipped gym with free weights, cardio machines and resistance machines. Please note there is no pool in the Piccadilly location. This experience is ideal for anyone with a hectic schedule who could benefit from a chance to take a break from their normal routine and spend some time in an oasis of calm. Whether they have a stressful job, a busy social life or just a hectic schedule packed with an array of responsibilities, this experience will leave them feeling fantastic and the £10 voucher will encourage them to build a little relaxation into their regular schedule. This experience is available Monday to Friday, throughout the year excluding Bank Holidays, subject to availability. You will have access to the facilities for 2 hours. Your treatment will last 30 minutes. A Decleor facial is the perfect way to get the glowing skin and perfect complexion that everyone dreams of. The results speak for themselves and this facial makes for a perfectly relaxing experience. This experience includes everything a guest needs for a relaxing and revitalising experience in beautiful surroundings. Guests can spend as long as they want using the hotel’s spa facilities which include a jacuzzi, solarium, sauna, swimming pool and state-of-the-art fitness centre. The Decleor facial combines essential oils with a soothing massage which rejuvenates the skin and gives it a healthy glow. Decleor facial are thoroughly relaxing. You and your guests will be able to leave looking and feeling thoroughly fantastic. This experience is available Wednesday to Saturday, throughout the year, subject to availability. The treatment will last for 30 minutes each and the facilities can be enjoyed all day. This experience is for two people, your treatment will be on a one-to-one basis with the therapist. Please inform the venue of any skin allergies or medical conditions that may affect you taking part in this activity. A health check will be required which may result in the spa requesting a medical certificate. This experience is for one individual to enjoy a 30 Minute Deep Tissue massage at the George Albert Hotel and Spa. Your therapist will use Balinese stones bathed in the Frangipani Monoi Body Oil are worked deep into the muscles, getting into areas of tension. The result is sparkling vitality with the added bonus of intensely hydrated skin. You will also have full access to the spa facilities to add on to the experience. The total treatment time is 60 minutes, you can use the facilities all day. A little pampering goes a long way and that is particularly true when it comes to facials. Elemis skincare is designed to energise skin that is in need of a little attention, whether that is because of tiredness, dryness, the effects of pollution, stress or simply the need for a deep cleansing and nourishing treatment. Anyone who likes to leave a spa day looking and feeling completely revitalised will love the chance to enjoy a tailored facial designed to treat their skin with the exact combination of rehydrating and restorative products. This experience for one includes a 55-minute Elemis Skin Solutions Facial and a soothing scalp massage which will leave them feeling fantastic. This experience includes a delicious one course lunch, a perfect opportunity to enjoy a little peace and quiet. 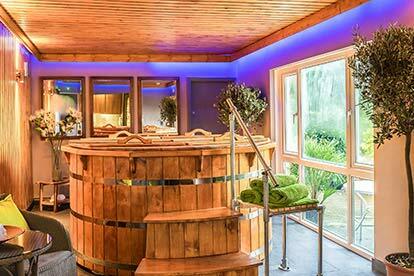 Guests can spend the whole day at the spa making use of the wide range of facilities available. These include a state-of-the-art gym and a choice of fitness classes for those who want to work up a bit of a sweat as well as a heated indoor swimming pool, steam room, sauna, jacuzzi which provide plenty of opportunities to relax. This experience is available Monday to Sunday, throughout the year, subject to opening times and availability. Your treatments will last approximately 70 minutes in total. Charlton House is one of Bannatyne’s most impressive spas, featuring a range of Moroccan-themed thermal spa facilities which include: a hydrotherapy pool, a crystal steam room which offers a unique heat treatment system, a Laconium spa suite which offers an aroma-infused relaxation opportunity, a uniquely invigorating Finnish sauna, an Ice fountain and a range of experience showers which are designed to give guests a thoroughly invigorating experience. This spa evening for two includes a choice of two of the following treatments: a soothing scalp massage which is designed to relieve stress from the head down, a mini back massage which will tease out the tension held in the back muscles or a leg massage which will ensure that this often-overlooked but incredibly important area of the body gets some attention. Guests can spend all evening at the spa and make the most of the fantastic facilities from lounging by the pool to sweating it out in one of the steam rooms or just drinking in the peace and quiet of the calming surroundings. This experience is available Monday to Friday, throughout the year, subject to opening times and availability. Your treatment will last pproximately 25 minutes, you can use facilities all day whilst it’s open. This selection of beauty treatments is designed to provide the perfect pick me up for anyone who feels like they are in need of some pampering. The expert beauty therapists will leave their guests feeling perfectly polished and ready to impress. As well as the luxurious experience of being thoroughly pampered for a full hour, just being in the soothing atmosphere of a spa is enough to make anyone feel relaxed. This selection of treatments is enough to make anyone feel fabulous, and includes a luxury manicure, luxury pedicure, a mini facial and an Indian head massage. By the end of these treatments, guests will have gleaming nails, a glowing complexion and the head massage will help them to completely unwind. Your treatments will last approximately 2½ hours. Having a massage is believed to rub away fatigue and stress and also improve blood circulation to the body. Apart from creating a pleasant sensation, it also works on the soft tissue (the muscles, tendons and ligaments) to improve muscle tone. The action of rubbing the skin creates changes in the body and the hormone endorphin is also released. This is the body's natural pain killer which also creates a sense of well-being. Come and see for yourself when opting for this location. You will be welcomed upon arrival by a professional and caring therapist, before receiving a full body massage each. Josie's Hair and beauty is a fantastic location for a great pamper experience. On arrival at The Treading Hub, you and your guest will be greeted by one of Sonika's talented therapists before enjoying your relaxing 30 minute full body massage. Unwind and enjoy some time together while your therapist kneads your tired muscles, leaving both your bodies in a state of total relaxation. The total treatment time is approximately 30 minutes per person. A visit to Elite Beauty includes four blissful hours of pampering, with therapists working on multiple areas of the body in order to leave you utterly spoilt. You will benefit from the healing properties of traditional massage, while the facial utilises advanced, professional skincare products designed to purify and revitalise the skin. The manicure or pedicure will leave even the most hardworking hands or feet feeling refreshed and preened to perfection. Once your treatments are complete, you’ll leave Elite Beauty feeling totally revitalised and ready to face whatever life throws at you. Upon arrival, expect a warm welcome from one of the friendly Elite Beauty team members before your four hours of treatment time commences. 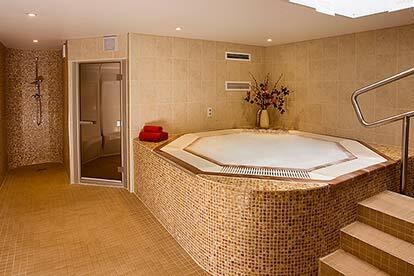 Grab your towel and robe then prepare for your indulgent, full body pampering session to take place. To begin, a 50 minute full body and head massage will gently ease you into a comforting state of relaxation while the therapist targets areas of tension. Next, it’s time to release any lingering stress with a 50 minute luxury facial, designed to provide you with a long-lasting radiant glow and the technique adapted to suit your unique skin type. Finally, choose between a 60 minute Gelish manicure or pedicure which will be accompanied a mini manicure or toe tidy depending on which treatment you choose for your main final treatment. Sit back, relax and allow your experienced therapist to work their pampering magic. The total treatment time is approximately 4 hours. The heart of London may seem like an unlikely place to find a tranquil retreat which offers authentic Hammam rituals designed to restore balance by detoxifying and purifying guests inside and out. The traditional rituals which have been a part of Middle Eastern culture for centuries over which time they have been refined to provide an experience which is relaxing and beautifying. Use of facilities is not included within this treatment. The hammam treatment begins with a relaxing session in the steam room. Not only does this help to clear the mind, but it also opens the pores, preparing the skin for the treatment to come. Black olive soap infused with Argan oil is then used to gently exfoliate the skin and the therapist will use a Kessa glove to aid the process of removing the dull outer layer to reveal a natural, healthy glow beneath. The treatment ends with a soothing shower which will reveal the full extent of the treatment’s results, refreshing and revitalising the skin and leaving it looking and feeling fantastic. Guests can also choose between a honey hair mask which will leave their tresses looking glorious, or a reflexology session which will use pressure points on the feet to relieve stress and provide relief from tension held throughout the body. This experience is the perfect pampering treat to make anyone feel thoroughly spoiled. This experience is available Wednesday to Monday, throughout the year excluding Bank Holidays, subject to opening times and availability. Your treatments will last approximately 1 hour & 20 minutes. Ella Connor’s is an expert, friendly salon specialising in styling all hair types, nails and beauty treatments including Proms and Weddings. They also offer Holistic Therapies as well as Advanced Beauty Services. As a team they have over 50 years’ experience in the hairdressing and beauty field. These talented stylists and hair colourists have worked with some of the most prestigious hair companies all over the world, including LA, Paris, Amsterdam and London. The Salon is located a stone’s throw from the sea, in Leigh on Sea, Essex. Relax and unwind with an ancient sound and hot stone massage. Your therapist will use warm essential oil soaked river rocks for this experience and Tibetan sound bowls which are placed on energy centres, this treatment is aimed to heal and create a deep relaxing massage. This experience is available Tuesday to Saturday, subject to availability, excluding Bank Holidays and the Christmas Period. The total treatment time is approximately 90 minutes. A spa day is an excellent way to carve out some time to relax making it the perfect present for anyone who would appreciate the chance to clear their mind, forget their to-do list and spend a day doing nothing except enjoying the moment they are in. Guests will enjoy a warm welcome and a chance to get away from it all for a day with a relaxing dip in the pool, a soothing steam or just a few hours doing absolutely nothing.This spa experience is the ideal way to give someone the gift of relaxation as they are pampered by experts and make the most of the state-of-the-art facilities that the hotel has to offer. This experience is perfect for anyone with a hectic schedule as it can last as long as they choose, with all-day access to the spa’s facilities included in the experience. Guests will be able to enjoy a relaxing 55-minute treatment and a light lunch is also included, so visitors don’t have to think about anything except for enjoying themselves. The light lunch will be served in the bar area located in the hotel. As well as robes and slippers to help visitors to really embrace the spirit of relaxation, this experience also includes use of the steam rooms, saunas, swimming pool, fully-equipped fitness centre and other facilities for as long as they want. This package is available Sunday to Friday, throughout the year. Excludes Bank Holidays, Mother’s Day and Valentine's Day. Your treatment will last approximately 55 minutes and the facilities can be enjoyed all day. 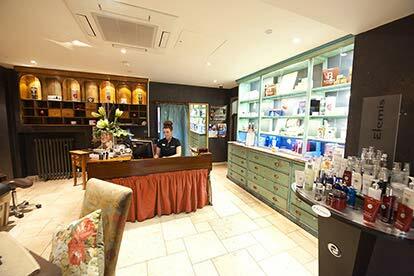 Jasmine Day Spa can be found on the Essex coast in Leigh-on-Sea and welcomes visitors travelling from far and wide. With two decades of salon excellence to the name, Jasmine Day Spa is proud of their high quality service, experienced team and many happy guests that leave the spa feeling refreshed and at peace. As well as a range of intensive treatments carried out by qualified beauty therapists, the spa also offers a comforting hot tub and several treatment rooms which have been designed to relax all who visit. Upon arrival, the two guests will receive a friendly greeting from a member of the Jasmine Day Spa team and be given a fresh towel, pair of slippers and robe before making their way to one of the treatment rooms. The treatment will start with a back scrub, which works to exfoliate away any dead skin cells and revitalise the skin. An intensive back, neck and shoulder massage will follow, easing away any lingering tension and repairing hardworking muscles. The final stage of the Jasmine Signature Spa treatment is the Elemis facial, which comprises of a cleanser, toner and moisturiser, with products selected with guest’s unique facial skin type in mind. The final 30 minutes of the session can be spent relaxing together in the Jacuzzi area to complete the day of tranquillity. A spa day is the perfect way to recharge the batteries and shed the stresses that most people feel after a long day dealing with work and other commitments. Getting away can make a huge difference, even if it’s just for a day, so this opportunity to carve out some time is the perfect gift for someone who could do with an excuse to spend some quality time being pampered and spoiled a little. The choice of treatments has been hand-picked to ensure that there’s something to suit anyone’s idea of a perfect day of relaxation. The back massage is designed to relieve tension and provide a soothing solution to tired muscles; a Swedish massage is an ideal way to get the circulation going and revitalise the system; hot stones are perfect for anyone who carries their stress in their spine; a facial is an ideal way to boost the skin, leaving it looking and feeling thoroughly refreshed; a manicure and pedicure are proof that taking care of the details can make a huge difference to how a person looks and feels. Guests will be welcomed by the friendly staff and encouraged to relax from the moment they set foot in the spa. Their choice of treatment will be carried out in one of the tranquil treatment rooms by an expertly trained member of staff who will ensure that they enjoy the very best care and feel fantastic at the end of their session. Guests are welcome to use the spa’s facilities while they are there, so they can enjoy the soothing steam rooms and sauna, give themselves a bubbly boost in the jacuzzi, enjoy some peace and quiet in the relaxation room and, in the summer, they can take a refreshing dip in the outdoor heated swimming pool. Morning sessions include a light lunch and guests booked in afternoon sessions will enjoy tea and cake making this a perfectly relaxing way to spend a day. Please note this is a ladies only spa. This experience is available Monday to Friday from 10am-1:30pm or 1:30pm-5pm, weekends are bookable for a £10 fee payable directly to the spa. Bank holidays are excluded. Your total treatment time is 30 minutes, you're welcome to spend up to 3½ enjoying the facilities. This experience is not suitable for spectators. Shrouded in history, Wynnstay Hotel has been lovingly restored and renovated over the years, with the additions of a lounge bar, restaurant and a spa area complementing the original Georgian architecture. Dating back to the 17th Century, the former coaching inn has served as a popular place of comfort to weary travellers for decades. Take advantage of The Beauty Suite’s aromatic steam room, Finnish sauna, hot tub, relaxation rooms, heated swimming pool and extensive gym for as long as desired. A day of pampering and relaxation at the Wynnstay is certainly not one to miss. On top of all day access to Wynnstay’s great facilities, visitors will also benefit from a 20 minute back, neck and shoulder massage each, carefully designed to tease away any stubborn aches and pains. With a fully-qualified team of therapists on-site, a massage at Wynnstay is sure to ease any visitor into a state of relaxation, no matter how high their stress levels. The guests will also enjoy a carefully crafted cream tea on the day, consisting of a scone each paired with cream and jam, as well as a refreshing pot of tea or coffee. 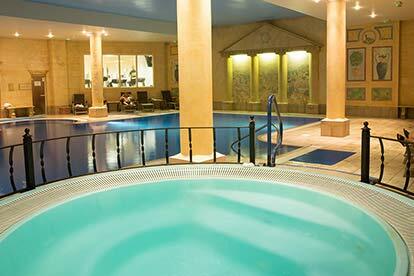 A day of pampering and relaxation at the Wynnstay is certainly not one to miss. This experience is available Monday to Sunday, throughout the year excluding Bank Holidays, subject to opening times and availability. Your treatment will last 20 minutes per person, you can use the facilities all day whilst it’s open. For over 15 years Beauty Oasis has been treating a growing number of clients in the Weston Super Mare and the surrounding area and we have established ourselves as the number one salon to visit. Enjoy an intensive total treatment time of 1 hour and 45 minutes with Beauty Oasis. Choose from four great salons along the scenic west coast to visit and enjoy some well-deserved 'me time'. Anticipate a warm welcome from the great team before making your way to one of the dedicated treatment rooms for well over an hour of bliss. You’ll instantly feel the benefits from a 1 hour back massage which will target areas holding tension and relieve any aches while gentling soothing you into a state of calm. Next, you’ll be treated to a 45 minute facial featuring products from the legendary Pier Auge range. Mirroring the skin’s natural structure and using advanced molecular science to develop technology which naturally balances the skin, Pier Auge products are recognised for their natural yet effective approach to skincare tailored to your unique skin type. This experience is available on selected dates from, September to May. Bank Holidays are also excluded. Your treatment will last approximately 1 hour and 45 minutes. The team at Angels Reunited Beauty Therapy offer a wide range of holistic and beauty services. Massages and facials are available alongside waxing, threading and nail care. The salon is located on the outskirts of the beautiful small village known as Coggeshall. On arrival, you will be greeted by your friendly therapist, who will be delivering your treatments. The 30 minute deep tissue massage will melt away tension, eases muscle stiffness and increase circulation. The 30 minute mini facial helps to relax facial muscles which can slow the onset of wrinkles and reduce puffiness. The prefect combination for true relaxation for you both. This experience is available on Monday to Friday, throughout the year, excluding bank holidays. Based in Bearwood in Birmingham, Adhara Hair & Beauty offers a wide variety of hair and beauty treatments at their warm and friendly Smethwick-based salon. A warm welcome awaits you to enjoy your experience! Oxygen Therapy is a sophisticated and clinically proven treatment that delivers pulsed oxygen and skin restructuring actives where skin health, elasticity and firmness begin. The result is dramatically rejuvenated skin with visibly reduced lines and wrinkles! For this experience you will be entitled to a 60 minute Oxygen Therapy Facial followed by a 30 minute massage so sit back, relax and enjoy! This experience is for one adult, the treatments will be on a one-to-one basis with the therapist. Anyone who has ever held tension in their back will know that there is nothing like the relief that comes when the muscles are finally loosened up. This hot stone back massage is a chance to let an expert soothe away any built up stress, easing the muscles into relaxation and providing a lasting sense of wellbeing. A decleor facial is the perfect way to get the glowing skin and perfect complexion that everyone dreams of. The results speak for themselves and this facial, combined with the hot stone massage, makes for a perfectly relaxing experience. The hot stone treatment is designed to relieve the tension in the back muscles that can be the source of pain and stress, contributing to poor posture and lasting discomfort. The placement of the stones is designed to ensure that the treatment has long-lasting positive effects. The Decleor facial combines essential oils with a soothing massage which rejuvenates the skin and gives it a healthy glow. The experienced therapists will ensure that the hot stone massage and Decleor facial are thoroughly relaxing. Guests will be able to let go of their stress, forget their worries and leave looking and feeling thoroughly fantastic. This package is available Wednesday to Saturday., throughout the year. Your treatments will last approximately 1 hour 10 minutes. This spa day for one is an ideal way to get away from the pressures of daily life and focus on relaxation. The Spa offers guests a warm welcome and a chance to enjoy a thoroughly indulgent treatment which will leave them feeling relaxed and rejuvenated. Start your experience with a warm welcome from the team in the health and leisure facilities situated in Walton Hall on the island. Take a swim in the heated lake level pool overlooking the 26 acre lake and surrounding woodland, relax in the spa bath, sauna and steam room and for the more energetic there is a gymnasium. The spa is located in the Waterton Park Hotel on the mainland. 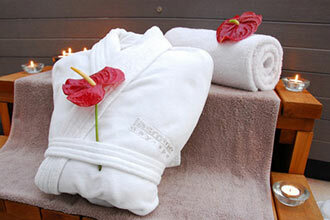 You will be provided with a cozy robe and slippers to ensure that you are comfortable on your Spa journey. The experience includes 55 minute ESPA aromatherapy massage using a blend of individually chosen oils and a facial. A personal consultation will ensure that you receive a unique treatment to suit your specific needs focusing on your back, legs, arms, abdomen, neck and shoulders. Once finished you can sit back and relax in the superb starlit relax room. This experience is available Tuesday to Friday, throughout the year, subject to availability. You will receive 55 minutes of treatment time, the experience will last all day. Visit Hotep Holistic with a person of your choice and enjoy a hot stone massage and an Indian head massage each. Hot Stone massage are known for their ability to soothe both mind and body, your therapist will use a combination of gentle oils and natural stones to ease muscle tension, improve circulation and promote well being. Afterwards enjoy an Indian Head massage, a form of ancient therapy designed to provide relief from neck and shoulder pain. Your therapist will concentrate on the head, neck and face as these are the areas that commonly store the most tension. This experience is available Monday to Friday, a £5 supplement fee will apply for Saturday and Sunday bookings. Excludes Bank holidays. The total treatment time is 1½ hours per person. Your pamper treat day for you and a friend will include use of the Spa facilities and gym plus you can choose one 30 minute treatment each from the following: Indian head massage, Salt Brushing, Back Massage, Express Facial, Express Manicure, Express Pedicure. This experience is available Monday to Sunday subject to availability, throughout the year subject to opening times and availability. With the spas located in Bury St. Edmunds and Colchester they are both surrounded by exquisite countryside and offer a unique ambience in which to relax the mind, soothe the soul and lift the spirit. The facilities include an exclusive fitness club, Spa and restaurant. 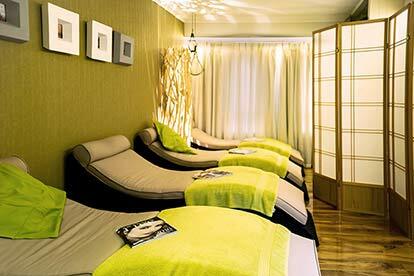 They work in partnership with Elemis to offer beauty therapies and spa rituals in luxurious treatment rooms. Their retail area boasts the latest technology in Elemis Biotec, Skin Reveal and latest product lines which will allow you to benefit from the latest developments. Whether this gift is intended as a treat for someone special, or you simply fancy indulging yourself, this experience is ideal. With full access to the club’s facilities, as well as a treatment, take the time to truly recharge, reflect and revitalise. You will also receive a one course lunch. Upon arrival, you will be welcomed by one of the health club's receptionists who will confirm the time and location of your treatments as well as what services are available for you to use throughout your day. The classic facilities typically include cardiovascular machines, heated pool, steam room and sauna, as well as a program of finesses classes to suit any exercise ritual. Whether you wish to spend your day strengthening your mind or your body, relax, unwind and relish a day relaxing out. This experience is available Monday to Friday, with very limited weekend availability, throughout the year subject to opening times and availability. Your treatments will last 55 minutes in total, you can use the facilities all day whilst it’s open. Modern life features more technology than ever before, with most people carrying around more computing power and access to information in their pocket than their parents had available to them throughout their lifetime. However, the downside to this increased access to information and communication means that it is increasingly difficult to ‘switch off’ and take a proper break from the pressures of daily life. For those who struggle to stop working their way through their to-do lists, even when they are trying to enjoy a little downtime, a spa day is the perfect way to de-stress and focus on doing nothing. The added appeal of spending the day at a castle, tucked away amongst the trees makes this a great choice for anyone who needs to get away. This spa day offers guests the chance to enjoy a soothing Rasul treatment which is designed to leave them looking and feeling fantastic. This traditional Arabian treatment takes place in a chamber which has been specially designed to provide a tranquil and soothing environment for this ancient ritual. The first step is a mud treatment in which the body is slathered with a selection of nourishing and softening muds which are allowed to work their magic during the next phase - a session in the steam room during which the mud’s beneficial properties become apparent. The pores will open, allowing the mud to draw out any toxins and cleanse the skin thoroughly before a tropical shower flushes them out. The process is completed with a Welsh sea salt scrub which guests can use to exfoliate their skin, leaving it glowing with health and thoroughly refreshed. This is the perfect experience for anyone who could use a bit of a boost and the chance to feel thoroughly pampered. Please note that you will apply the mud yourself. This experience is available Sunday to Thursday, throughout the year excluding Bank Holidays, subject to opening times and availability, a £10pp supplement is payable for a Friday or Saturday. Your treatment will last 45 minutes per person, you can use the facilities all day whilst it’s open. Yorkshire is famous for its beautiful landscapes and the rolling hills and dales for which it is known throughout the world. The Bridge Hotel in Wetherby is a Coaching Inn which combines its 17th century origins with 21st century facilities designed to provide modern visitors with a glimpse into the past. Set within beautiful grounds, the hotel lies within easy reach of the A1, but surrounded by glorious scenery which gives the impression of being completely secreted away. This makes it the perfect spot for a soothing spa day which offers guests a chance to relax and enjoy the beautiful views and the peace and quiet that they crave, all easily accessible for those who want to make the most of a chance to take a day out to themselves. The Courtyard Spa has been designed to provide guests with the ideal atmosphere for a relaxing day. This Rasul treatment for two is based on an ancient Arabic tradition which uses glacial mud harvested from the Austrian Alps as a full body treatment. The mud is rich in minerals and nutrients which make it intensely soothing. Once the mud has been applied, it is left to work its magic in the warming steam which helps it to draw impurities out of the skin for a thorough cleanse which will leave guests feeling thoroughly refreshed. This experience also includes use of the spa’s facilities for three hours, allowing guests to make the most of their day with a soothing sauna and steam room, a refreshing ice fountain, an experience drench shower which is great for the circulation and Japanese foot spas which will give this often-overlooked body part a real treat. There is also an outdoor hot tub for those who want to enjoy a little fresh air and a plunge tub which has therapeutic benefits for those who brave it. This experience is a great way for a pair to spend some quality time together with the added bonus of looking and feeling fantastic at the end of it. Please note, the mud rasul is self applied and there may be other guests in the chamber with you. This experience is available Monday to Friday, throughout the year, excluding Bank Holidays, subject to opening times and availability. Your treatment will last 30 minutes per person, you can use the facilities for three hours. For those who struggle to stop working their way through their to-do lists, even when they are trying to enjoy a little downtime, a spa day is the perfect way to de-stress and focus on doing nothing. The added appeal of spending the day at a castle, tucked away amongst the trees makes this a great choice for anyone who needs to get away. This spa day offers guests the chance to choose two soothing treatments from a hand-picked selection designed to leave them feeling fantastic. This choice of beauty treatments has something for everyone and guests can pick two of the following 25-minute treatments: an ESPA salt and oil scrub, designed to exfoliate the skin and leave it feeling smooth and nourished; a ESPA back/scalp, neck and shoulder massage which will soothe away any tension held in the muscles; an ESPA invigorating foot ritual which provides some much-needed attention to an overworked part of the body; or a Jessica file and polish for perfectly presented nails. It may be in a castle, but this spa has everything their guests could wish for, including a well-equipped gym and a thermal suite featuring a sauna, steam room and relaxation suite. 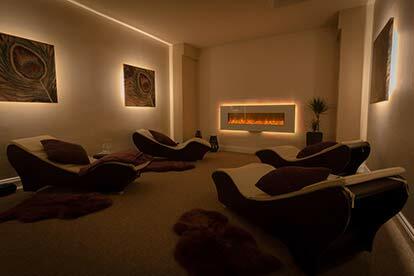 The treatment rooms are designed to provide a calming atmosphere to allow guests to thoroughly unwind. This experience also includes a light lunch with a glass of wine and the chance to use the spa’s extensive facilities all day. Your treatments will last approximately 50 minutes in total, you can use the facilities while open. Indulge yourself with a treatment and lunch at this unique spa set within a 4 star hotel surrounded by the rustic woodland grounds of an ancient moated castle. The Moat Spa draws heavily on its majestic North Wales setting in both its design and use of quality local products in their treatments. As you wonder around the spa you will see a range of influences and cultures from around the world to send you into a world of your own. At The Moat Spa you will enjoy a 55 minutes treatment as part of your day. Choose from either a full body aromatherapy massage, deep muscle massage, hot stone massage, Swedish massage or a luxurious facial. These delightful treatments will leave you with a sense of wellbeing and calm whilst you enjoy the grand surroundings around you. 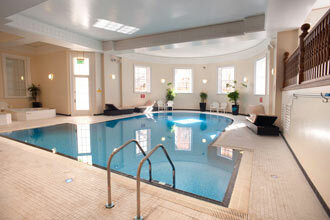 Your day of pampering entitles you to use the facilities which include a sauna, steam room, relaxation room and a gym. In addition to this you will be treated to a delicious lunch ranging from a choice of salads, a sandwich or a wrap made with locally sourced ingredients set within the pantry of the spa. All produce focuses on quality, simplicity and luxury, all of which perfectly complements your day of pamper indulgence. Your treatment will last approximately 1 hour and the spa facilities can be enjoyed all day. 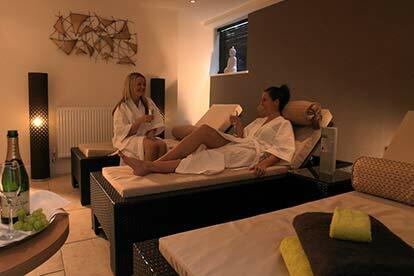 Your treatments will be on a one-to-one basis, there will be others enjoying the spa facilities on the day. Unfortunately this package is not suitable for spectators. The minimum age of this experience is 18 years. This choice of treatments has something to suit anyone’s idea of a relaxing afternoon, including a mini facial designed to freshen and cleanse skin, leaving it looking utterly revitalised; an Indian head massage which will relieve stress and tension with soothing strokes; a full body exfoliation which will rid the whole body of dull, tired skin and reveal the glowing and radiant skin beneath; or a leg and foot massage which is the ideal way to give this often-overlooked area some much needed care and attention. This experience is ideal for anyone who could benefit from a day of pampering to give them a chance to forget about the pressures of their day-to-day life. The treatments have all been chosen to provide guests with a truly relaxing experience, and the trained therapists will do everything they can to provide a soothing and relaxing environment, whichever treatment guests choose. As well as the treatment, this experience also includes the use of the facilities for the afternoon. These include a sauna which is modelled on an Alpine Brechel cabin, complete with pine needles and herbal steam shots and the mill wheel shower which provides alternating cascades of hot and cold water from a beautifully designed machine that is operated using water power. There is also a hydrotherapy pool outside in the courtyard and a relaxation suite which has everything that anyone could want to help them relax, not to mention a delicious two-course lunch to make the whole day even more special. The total treatment time is 25 minutes, facilities can be enjoyed from 9am-4:30pm. If there’s one thing more enjoyable than an indulgent spa day, it’s combining that spa day with a luxurious afternoon tea which has been specially put together to provide guests with the perfect treat to compliment their day of decadence. This relaxing experience is a great treat for anyone who appreciates the finer things in life and wants to take a break from their daily routine with a day of extravagance unlike any other. This experience is ideal for anyone who needs a break, whether they are overworked and under-appreciated, or just someone who needs to be encouraged to take a little time to themselves. From the moment they step through the door, they will be encouraged to shed their stress and focus on their own wellbeing. This experience for one is great way to get away for a day to a spa that has plenty of facilities to enable guests to create their perfect relaxing day. They can choose to chill out in the calm of the quiet room, with comfortable sofas and even a library of reading material for those who want to clear their mind with a little escapism. There is also a 12 meter indoor pool with a waterfall for those who want to swim or just relax and enjoy the sound of the trickling water. There are also a range of experience showers, from mists to rainfall and with an array of soothing and invigorating aromas and an ice fountain for those brave enough to try out this refreshing and circulation-boosting experience. Afternoon tea is the perfect break in a day in which everything is designed to provide a soothing and calming experience. This location is available Tuesday to Friday subject to availability, available throughout the year. 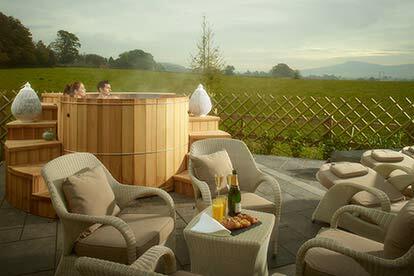 With this experience you can relax in the tranquil spa hotel in the Chester countryside. You’re free to spend the whole day at the spa to enjoy all of the fabulous facilities which include swimming pool, sauna and steam room plus use of a snugly robe, slippers and towel for your ultimate comfort on the day. Lunch is included. Pamper yourself with a choice of 55 minute treatments, Kaeso Prescription Facial, Kaeso Anti-Aging Facial, Aromatherapy Face and Body Sensation, Hot stone massage. On arrival you will meet with one of the spas receptionists who will confirm the time of your treatments, and where you go to have them. Following your treatments, spend the rest of your day enjoying use of the facilities which include a swimming pool, steam room and a sauna. Spend time with a friend relaxing in the indoor heated Pool, sauna and steam room or reading a book on a sun lounger around the pool. If you fancy something a little more energetic why not have a workout in the large gym. Your day will be complete with a 25 minute pamper treatment each, with a choice of a relaxing back, neck and shoulder or Indian Head massage, express manicure or pedicure, relaxing feet or hand treatment or a mini facial. Upon arrival, guests will receive a warm welcome from one of Espirit’s friendly team as well as a fresh towel and robe to maximise their comfort. It’s up to them how they choose to spend their day, whether that’s simply relaxing poolside, feeling the burn in the fitness centre, releasing toxins in the steam room or a winning combination of one after the other. At a time of their choosing, guests will break from relaxing and spend 25 minutes at the centre of a therapist’s attention, with a treatment from the Dermalogica Spa Menu. With massages, facials, manicures, pedicures and other Elemis options of exceptional quality on offer, there’s sure to be an indulgent treatment to suit every visitor. This experience is available Monday to Thursday, throughout the year excluding Bank Holidays, subject to opening times and availability. Your treatment will last approximately 25 minutes per person. Divine Shine is a wonderful beauty salon located within the Mercure Leeds Parkway Hotel. They offer a wide range of treatments and pride themselves on their friendly, experienced team and comfortable treatment rooms and lounge area. At this location you can enjoy picturesque views of the Yorkshire countryside and engross yourself in 130 acres of beautiful parkland and formal gardens by the Golden Acre Park wildlife reserve. Inside the hotel you'll find a mix of contemporary décor 1930s glamour and features including a swimming pool, sauna, steam room and gym. Menu 1: A bespoke massage, a lavender and lemon aromatherapy massage, a hot Stone massage, a foot and leg massage, an arm and hand massage, a back, neck and shoulder massage, an express facial, an Indian head massage, a reflexology style foot massage, hand revitalisation or foot revitalisation (hot oil massage, scrub and lotion). Menu 2: An express Facial, an Indian head massage, a reflexology style foot massage, hand revitalisation or foot revitalisation, which includes a hot oil massage, scrub and lotion. This experience is available Monday to Sunday, subject to availability, throughout the year, excluding Bank Holidays. Ivybridge Spa provides the perfect environment from which to enjoy a day dedicated to relaxation and wellbeing, with every detail been specifically designed to melt away any stress resulting from our busy, modern schedules. With training in the latest, innovative treatments and in depth knowledge of the spa industry, each member of the friendly Ivybridge team will be on hand to answer any questions during your experience. Sit back, relax and prepare to indulge in some well-deserved me time in the form of two treatments and over an hour of private use of the spa facilities. Lunch can also be included at an additional cost which will need to be booked at least 24 hours in advance. The Ivybridge Spa philosophy encourages guests from far and wide to discover their beauty from within by taking time out to visit the calm and serene surroundings of Ivybridge Spa. Upon arrival, you’ll receive a friendly greeting from one of the members of staff and be sure to grab your robe, slippers and towel as well as any lotions or potions to aid relaxation. Not only does this experience include over an hour of private access to the hydro pool, steam room and sauna, but it also includes a 30 minute back, neck and shoulder massage designed to tease out any stubborn aches or pains and release lingering tension. Visitors will also enjoy a 1 hour prescription facial, which will be adapted to your skin’s unique tone and texture; nourishing, hydrating and purifying where necessary. Prepare to leave Ivybridge feeling refresh, revitalised and ready to face the world. This experience is available Tuesday to Saturday, excluding Bank holidays. The total treatment time is 1½ hours, you can enjoy private use of the spa for 75 minutes. Our faces are often the place where our stress or tiredness shows most, so it’s important that they are not overlooked when it comes to relaxation, but a facial which draws on the healing powers of nature is enough to completely rejuvenate the skin. This experience for two includes a 25-minute facial for each guest, using products from the Celtic Elements range of locally-sourced organic ingredients. Guests can make the day last as long as they want by making full use of the spa’s other facilities, including the thermal suite which comprises a hot tub, sauna and tropical rain room, and a room dedicated to relaxation which is a sure way to find some inner calm. Your treatment will last approximately 25 minutes each, and the facilities can be enjoyed all day. This experience is for two people however there will be other people there on the day. A day at a spa is the perfect way to get away from the pressures and stresses of daily life and forget about everything for a few hours. The beautiful surroundings are the first thing visitors will notice on their way to the spa with acres of immaculately tended, mature gardens making way to spectacular views of the Welsh countryside. Once inside, the tranquil interior will begin the process of relaxation as guests are left in the capable hands of the experienced beauty therapists. This experience is a chance to make a day of it with an hour-long full body polish designed to treat the skin from top to toe including a super skin facial and a choice of either a manicure or pedicure. This combination of treatments will leave guests feeling thoroughly pampered and ready for anything. This experience includes a specially chosen selection of treatments designed to provide guests with a full body boost as they have their skin nourished with a full-body polish and moisture wrap which is designed to nourish and moisturise the skin, leaving it looking and feeling fantastic. Combined with the super skin facial, these treatments provide everything anyone could possibly want to give their skin a thorough boost. This day of relaxation and pampering will be completed with a choice of one-hour luxury manicure or pedicure, leaving guests feeling utterly fantastic from top to toe. Guests will be free to use the spa facilities for as long as they choose, including the beautiful heated swimming pool which boasts incredible views over the gardens. There are also thermal rooms designed to boost the circulation, cleanse the skin and help the immune system to work more effectively. This experience is available Tuesday to Saturday, throughout the year excluding Bank Holidays. Your treatment will last approximately 2 hours, and the facilities can be enjoyed all day. Immerse yourself in a Swedish or hot stone massage that will leave you both feeling fabulous inside and out. Each treatment will last approximately 20 minutes. Found within the cosy seaside town of Southend-on-Sea on the Essex coast, The Beauty Room welcomes every guest with open arms. Take a well-deserved break from the hustle and bustle of everyday and escape to one of their tranquil beauty rooms, with every detail designed with the importance of self-care and relaxation in mind. Your experience will begin with a warm welcome from one of the salon’s qualified therapists, followed by a consultation regarding each treatment. Firstly you’ll enjoy a blissful 25 minute back massage which will work on any areas that hold stress and tension, easing away any knots, aches and pains leaving you revived and invigorated. Next, the therapists attention will focus on your face; an area of the body which often displays the most signs of fatigue. Your 55 minute facial will include cruelty free products suiting your unique skin type and texture, applied in a effective routine designed to boost radiance, exfoliate the skin and create a lasting, glowing complexion. The facial includes a scalp massage which will almost instantly ease you into a state of deep relaxation. Leave The Beauty Rooms with a renewed sense of wellbeing, having enjoyed an indulgent 1 ½ hours of treatment time. This experience is available Tuesday to Thursday subject to availability, available throughout the year. Exclusions include Bank Holidays. Your total treatment time will be 120 minutes. Founded in 2018 and situated in the picturesque town of Maidstone, Beautique by Riley are committed to providing you with the service you’ve always wanted. They offer an extensive selection of treatments and services, using state of the art equipment and top of the range products. On arrival you will be greeted by Riley or a member of her team. This experience includes a 30 minute facial, a 30 minute head, neck and shoulder massage, followed by an express manicure. The facial will refresh the skin, using aromatic cleansers to buff away dulling skin cells. A rapidly working masque will be applied to infuse the skin with nourishment, before hydrating moisturisers are used to protect the skin. After your prescriptive facial your therapist will write out a prescription for you detailing the products most recommended for your skin type. The head, neck and shoulder massage is pressure tailored to suit your needs or preferences. Techniques include strokes on your scalp, deep tissue work on your shoulders and pressure point stimulation on the neck. Please note this treatment is not suitable for people with permanent hair extensions. Your experience will be finished with a hand massage, express manicure and coloured polish of your choice. This experience is available Wednesday to Saturday, subject to availability, excluding Bank Holidays. The total treatment time is approximately 1 hour and 45 minutes. You will receive four fantastic treatments and you can select which order to have them. On offer is a 20 minute relaxing Indian head massage, 30 minute Swedish back massage, 60 minute European deep cleansing facial and a shape and polish for your nails. A Swedish massage is designed to relive stress and tension and muscular aches and pains, it is a deeply relaxing massage and can help improve circulation and joint mobility. A shape and polish is the perfect way to give your hands to a quick refresh, why not top off your treatments with the tidy of the nails and your choice of colour. A truly relaxing top to toe pamper package with over 2 hours of treatments. This experience will last approximately 2 hours and 5 minutes. This experience is for one person, they may be others there on the day. The minimum age for this experience is 18 years. Visit one of the four Beauty Oasis Salons based on the west coast of England to enjoy a relaxing facial and massage accompanied by a friend or loved one. Recognised by BISA (British International Spa Association) as a one wave member, Beauty Oasis have a friendly team at each of their salons who welcome both first time visitors and regular guests with open arms. The facial and massage will last for 20 minutes each, with a total treatment of time 40 peaceful minutes. Using products from the Pier Auge skincare line, the facial will work to replenish your skin’s inner radiance while providing a burst of essential moisture and the massage will focus on any areas of the body that require attention and ease any stress. Leave Beauty Oasis feeling totally relaxed and pampered. This experience is available on selected dates, September to May. Bank Holidays are excluded. Your treatment will last approximately 40 minutes in total. Barn Mews Clinic is a unique, specialist and complementary health clinic located in Laindon, Basildon in Essex. Established in 2012, the clinic has grown to include a number of practitioners who collectively offer a wide spectrum of therapies. Treatments at Barn Mews Clinic range from Holistic massage, Sports/Deep Tissue Massage, Reflexology, 1-1 Yoga - hot Bamboo Massage, Luxury Facials and 1-1 Relaxation and Meditation Courses. You will receive two massages on the day, one 60 minute and one 30 minute treatment, with one of the helpful therapists available to help you choose two techniques that are complimentary of each other. You can choose from a Deep Tissue/Sports/Holistic/Warm Bamboo Massage or a Reflexology Session, whichever treatments you choose you will come away feeling revitalised and relieved of the stress and strains of daily life. Upon arrival, you will be greeted by qualified massage therapists who will then assess you and talk you through the benefits of your chosen massage. When your first session is complete there will be a short break before the second one starts. This experience is available Monday to Sunday, subject to availability. The experience will last approximately 90 minutes. Unfortunately, this experience is not suitable for pregnant women.